Can Jony Ive and "Flat Design" Save iOS 7? Can Jony Ive and “Flat Design” Save iOS 7? Jonathan “Jony” Ive is the Senior VP of Industrial Design at Apple, and has been responsible for the design of some of Apple’s most successful and iconic products – including the iPod, iPhone and iPad. After the departure of Scott Forstall from the iOS development team, Jony Ive has also taken on leadership of the Human Interface team – effectively making him entirely responsible for the ‘look and feel’ of not just Apple’s hardware, but also their software. Scott Forstall was a big proponent of ‘skeumorphism’ – essentially a technique where digital design elements are intended to replicate another, real-life object. Skeuomorphism is rife throughout iOS – the yellow-lined paper of Notepad and the wooden bookcase in iBooks and Newstand are just two examples. With the 2013 WWDC coming in June, we’re just months away from the unveiling of iOS 7. According to all reports thus far, iOS 7 is said to represent a complete re-think of the user interface for iPod, iPhone and iPad. 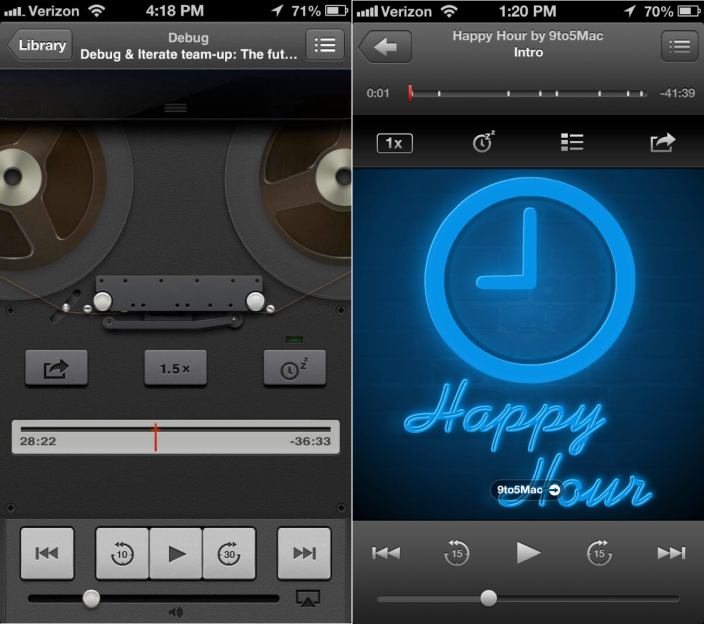 Gone will be the skeuomorphism, the gloss and shine of iOS 6 – replaced instead with a streamlined, flat design. “Flat design” is a relatively new term, but is an in-vogue design principle at the moment, especially on the web. Flat design is a concept exemplified by simplicity and minimalism – it’s modern, fresh and fast. Several commentators have noted that iOS 7 is going to be “very, very flat” – and it makes sense, given that Jony Ive has always been a big proponent of minimalism. We’ve already seen Jony Ive’s influence on the Podcasts app, which recently received a major overhaul with replacement of the tape-and-deck look with a much more streamlined interface. But what does all this “flat design” talk mean in a practical sense? While iOS 7 will look a lot different to iOS 6 with new icons and a big UI face-lift, the navigation and mechanics of iOS are unlikely to change much. While the visual changes may be met with some hostility from users who have grown comfortable with the current look-and-feel of iOS, the redesign of iOS 7 is an essential step towards revitalising Apple’s mobile products. Are you looking forward to the release of iOS 7? What new features would you like to see? Are you in support of the change to a flat design? Let us know in the comments below.